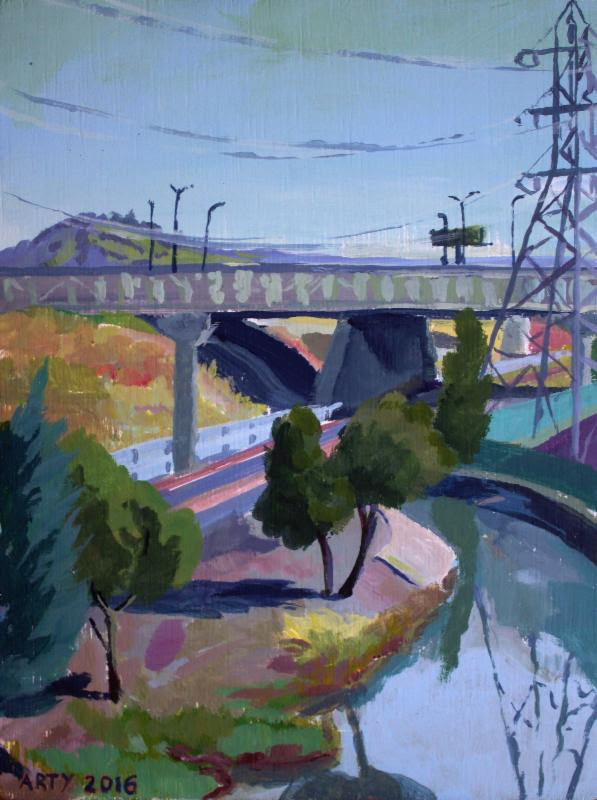 Recent plein air paintings focused on everyday life in the East Bay. Many of the acrylic on wood paintings began with live observation of subjects. Some finished in one sitting, others refined back in the studio while referencing photographs. Arty Johnstone is a part-time barista (at Julie’s! ), part-time paint sketcher. He roams the street on bike and foot looking for strong views. Originally from Tucson, Arizona, he has lived in Oakland for the last three years. Arty is available for commissions and live portraiture at events. I am looking to craft a “there-ness.” To capture the scene as it is, as it feels to inhabit it at that point in time. I create these scenes in the hopes that it will stir a reaction of specific placement in the real world. Whether it was hot or overcast, noon or sunset. 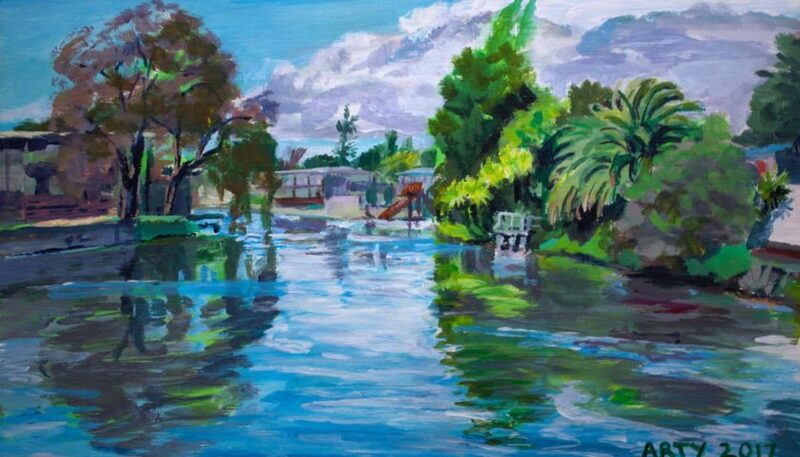 I strive to achieve a viewer response of “Oh yeah, I’ve been there before.” That being said, there is some trickery that goes into establishing the “mood” of each piece. If I was feeling pumped or groggy, content or overheated, these and other situational factors determine the color palette and the subject treatment.